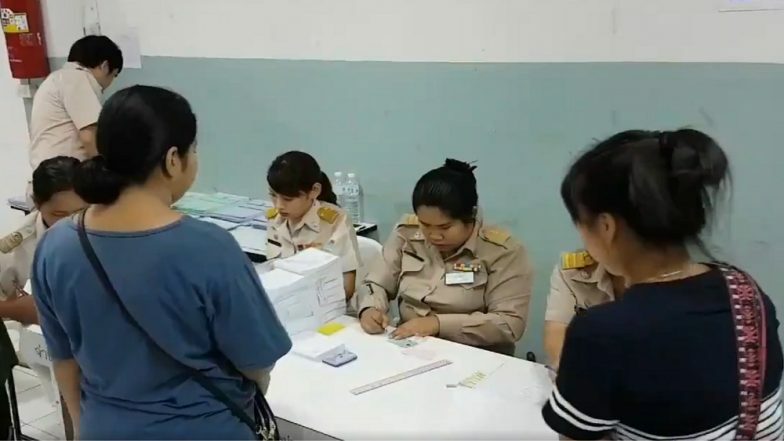 Toronto, March 26: Thailand’s Election Commission has come out with the final tally of all the votes cast in the country’s general elections. Palang Pracharat Party which is pro-junta and wants the current premiere General Prayuth Chan-ocha to continue leading the country has won the majority votes with 8.4 million Thais casting their vote for the party. Former PM Thaksin Shinawatra’s Pheu Thai party has come in second with 7.9 million votes. "These numbers are fully-counted results officially reported by each constituency," said Krit Urwongse, deputy secretary-general of the Election Commission. However, the final results of the election will only be declared on May 9. The EC also did not give a breakdown of the number of seats won by each political party in the 500 seat House of Representatives. The unofficial final results for the lower house's 350 directly elected "constituent seats" gave Pheu Thai 137 seats while the Palang Pracharat had won 97, reported Channel News Asia. The other 150 seats are to be allocated based on a complex calculation of voter share for the various parties. After the results were declared, Pheu Thai along with other political parties, who have come together to form a “democratic front” claimed that together they command more than 250 seats which gives them the mandate to form the government. But the PPP has obviously objected to this, saying with the largest number of votes the mandate to form the next government lies with them. This is the first election in Thailand since the country’s military junta came to power in a coup in 2014. Since then, they have changed the election laws in the country based on which the various parties form the government, to ensure that the junta will always have a say in the parliament.